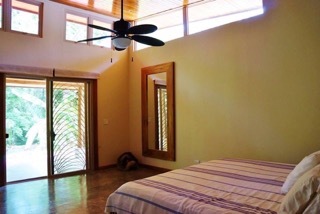 Just a stones throw from playa Guiones, Casa Selva is bordered by green space. Just outside your door, plant, tree, flower and wildlife flourish. 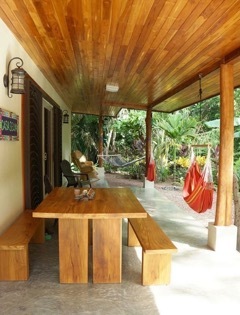 This 3 bedroom, 2 full-bath home has a large outdoor space with lounge chairs and outdoor dining. 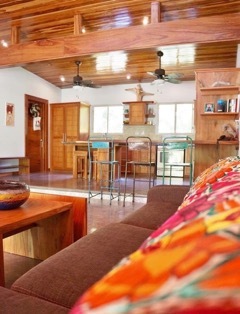 The large kitchen, including an island and teak wood bar for hanging out will not disappoint. 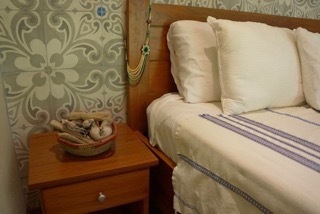 The master bedroom with king sized bed is finished in custom italian tile and is full of light. 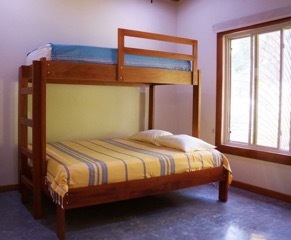 Both guest bedrooms have large bunkbeds. Queen on the bottom and twin on the top. BOOK now as your hammock awaits. 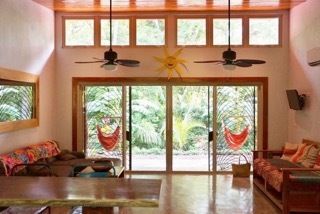 All Nosara Verde homes share a large saltwater pool.